I very much doubt the supreme irony that Virginia Heffernan’s excellent chronicle of the internet’s self-contained artistic logic comes in book form is lost on its author. The internet is very different from the physical world we are used to. The web’s logic and conventions, very much like the size of the thing itself, are impossible to lay out in terms that would be familiar to a traditionally educated consumer of any age. We cannot see the internet in anything like the 3-D form that defines our cities and landscapes. And we cannot understand the internet using the texts, images, and sounds with which we linearly catalogue history and thought, numbers and science, and all of the world’s accumulated successes and failures. In Heffernan’s book we are introduced to the profound ways that internet culture, or rather the simple presence of high-speed, cheap internet access, has altered our understanding of text, music, video, and photography. We hear about the comically tragic reality that in YouTube’s earliest days the fastest growing part of the music business was the sale of ringtones sponsored in old cartel-like fashion by the quickly dying music labels. While reading this passage, readers of a certain age — call it anything between 22 and 32 — are likely to get a pang of nostalgia for that seemingly Wild West period a decade ago when the purchase of ringtones was something people not only did but did a lot. This also, however, makes obvious how forcefully the internet has come into our lives, not because some technologists in Silicon Valley made it so but because the whole of the internet’s structure is a self-fulfilling reality. Heffernan, who often references her childhood dabbling with computer code nerdery while growing up near Dartmouth College in the 1980s, gives us a layperson’s breakdown of the difference between code that is “read” or “write.” In many ways this is the crux of the book’s argument. “Write” code happens as we experience our lives — forward forever, never to be re-worked. “Read” code can be re-worked, re-written, re-structured. All of the internet (except, as Heffernan notes, in, “its most secure, theoretical, and self-destroying corners, and mostly even there”) can be read and remade. The internet, then, gives us a thing we can necessarily never get in the real world of linear time: a true second chance. And it is this “read” logic of the internet that makes the net a reality — an art — all its own. 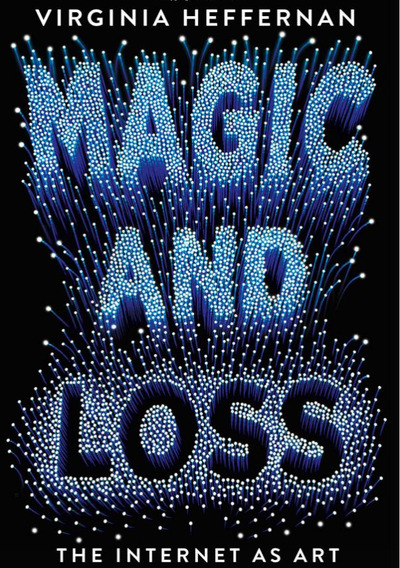 The reader leaves “Magic and Loss” with a sense that Heffernan views YouTube as the platform most capable of delivering us the apotheosis of internet art. The world wide web, Heffernan notes, is a crudely-designed commercial space more closely resembling the world’s most heavily-billboarded highway than an elegant platform for the next generation’s great minds. Heffernan argues that YouTube is a place, above all else, for art. A place where weird, short videos of the Manhattan Bridge or people unpacking new video game consoles to see what’s in the box can thrive for reasons traditional media companies like Viacom would never be able to understand. YouTube gives creators a freedom beyond what’s possible in other media. Beyoncé’s music videos made in the YouTube era have been inspired by Bettie Page movies, and explicitly so, left to be decoded by ever-scavenging viewers who crave the deconstruction of what a prior era’s television or film might have left as passive product placement. The decision to pay homage to Bettie Page in her video for “Why Don’t You Love Me?” was made by Beyoncé and director Melina Matsouaks, not the label or sponsors. This sort of creative freedom is embedded in YouTube but a radical shift from what long held (and still holds) in mass-produced content. 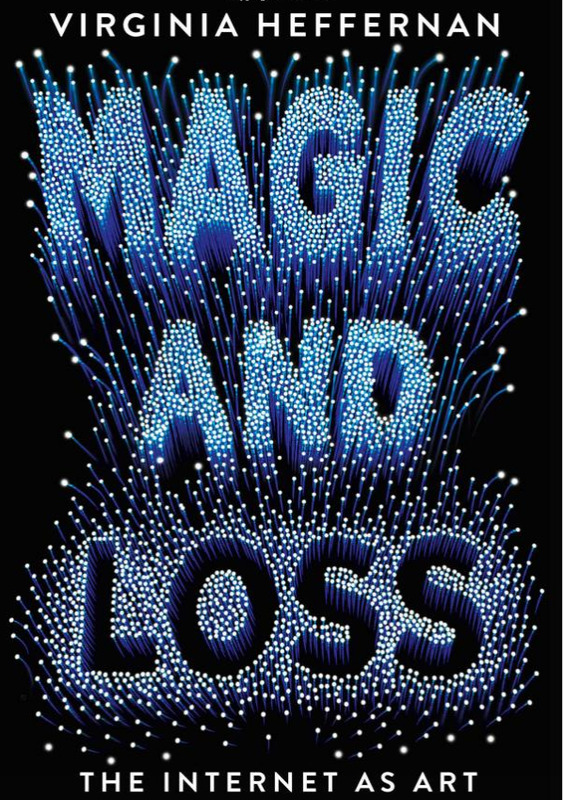 To read “Magic and Loss” is to read an ambitious vision for where the internet fits into modern life, a condition that increasingly makes distinctions like “digital selves” seem outmoded: We are simply ourselves everywhere, whether offline or, increasingly, online. It is not until the end of “Magic and Loss” that Heffernan, in a perhaps too-long closing chapter, gives us the outline of her philosophical framework, influenced heavily by Richard Rorty’s coolly comforting pragmatism inside of which we’re able to define for ourselves what matters and what does not. The important types of knowledge are not what the dusty books tell us but what feels right when we read, or see, or hear, or smell something that changes us. In 2013, however, Heffernan indulged this internet-enabled ability to define reality perhaps too literally, writing for Yahoo that she was a creationist, with a catch: it isn’t that Heffernan literally believed “God created the earth” but that The Bible tells a better story than “The Origin of Species.” This was received about as well as you’d think. Each person chooses their own way to experience the internet. I don’t read Reddit, which for many internet users is the only place worth visiting on the web. Many millions of internet users, in contrast, don’t read Business Insider, a site I write for to make a living. Neither of these truths, however, makes either Reddit or Business Insider more legitimate than the other. Unlike the finite space and linear time of television, or radio, or books and printed newspapers, the internet exists and expands as each user sees fit. Every experience is fully-realised on its own terms.